Corporate teamwork is a combination of the Executives vision and seamless execution from the staff entrusted with ensuring our vision is delivered day in and day out. Our vision involves a combination of passion, desire, and hard work aimed at providing superior products and services that add value to our partners and clients. The vison for, Tier 1 Title, was as much of a team effort as the execution is today. Here is a little about the parties responsible for constructing the vision our staff sustains on a daily basis. Charles is a Tampa native with his roots deeply incorporated in Ybor City, as well as a proud Jesuit alumnus. Together with Rene Otero, they co-founded Tier 1 Title and have since been dedicated solely to Real Estate and Title insurance legal issues as well as the daily operations of Tier 1 Title. 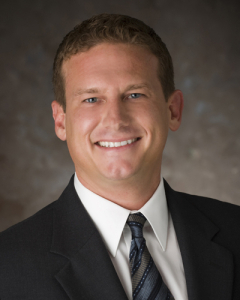 He graduated from the University of Florida in 1996 and Stetson University College of Law in 2000; Charles has been an actively practicing attorney in Florida since 2002. Formerly, he was a founding partner at Andreu & Palma, LLP, a law firm that specialized in contract litigation and commercial law. He oversaw a staff of 40 employees and served as legal counsel for a national client list that included several publically traded companies. Throughout his career, he has understood the importance of thoroughness and careful attention to sensitive legal issues and how they affect his clients. In addition to Tier 1 Title, Charles owns a separate affiliated law firm, Florida Consumer Law Center, P.A. which exists to facilitate Short Sales and Foreclosure Defense for Florida residents. Current clients of Tier 1 Title have come to rely on his prompt, professional, sound advice and assistance not only in Real Estate and Title Issues, but other areas of the law which may affect their businesses on an ongoing basis. Harold started his career in the title industry in 1993 in Dallas, Texas before relocating to Tampa, Florida in 1995. He’s held a variety of positions including Sr. VP of Operations at First American (formerly known as Transcontinental Title) from 1996-2005 and Director of Operations at First American from 2005-2010, as well as consulted for various title companies before joining Tier 1 Title in 2014. Harold helped build and develop, Transcontinental Title, into one of the largest independently owned title agencies in the country prior to the company being acquired by, First American. During his time with Transcontinental he was responsible for opening new branch offices throughout the Southeast Region. Harold has been a licensed title agent since 1996, personally holds Title producing licenses in multiple states, and is also a licensed Notary Public. Married to Sharon since 1996 with two children, Harold Junior and Jasmine. Harold coached little league football for over 10 years and likes to spend his free time with his family cooking on the grill or playing basketball.